At 6.45am this morning the alarm goes off and the husband springs out of bed. No-one should have to rise at such an ungodly hour on a Sunday. 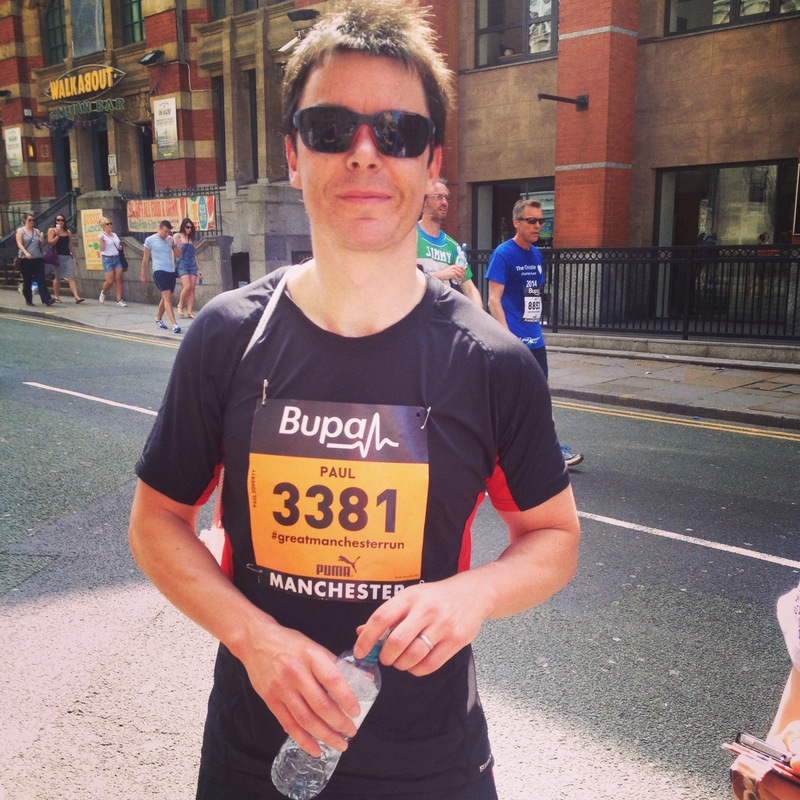 But today the husband is running the Manchester 10k. All weekend, the husband has barely even mentioned this race. But this morning, things are different. There’s a palpable tension in the air. He is stomping around, hunting for safety pins, Googling ‘what to eat before a big race’ – and even muttering about protein shakes. ‘I want you ready by 7.45am,’ he bellows in his best Drill Sergeant voice. I’m a little taken aback by this sudden change of heart. The reason the race has not been such a big deal up to now is that the husband went for a run about two weeks ago and managed to pull his calf muscle so badly he could barely walk. This might be something to do with the fact that he sprang out of bed that morning, laced up his trainers and simply set off running – without so much as a sniff of a warm-up. Naturally, he refuses to concede that this is the reason for his calf injury. Real men don’t bother with pre-run stretches or warm-ups, says he. 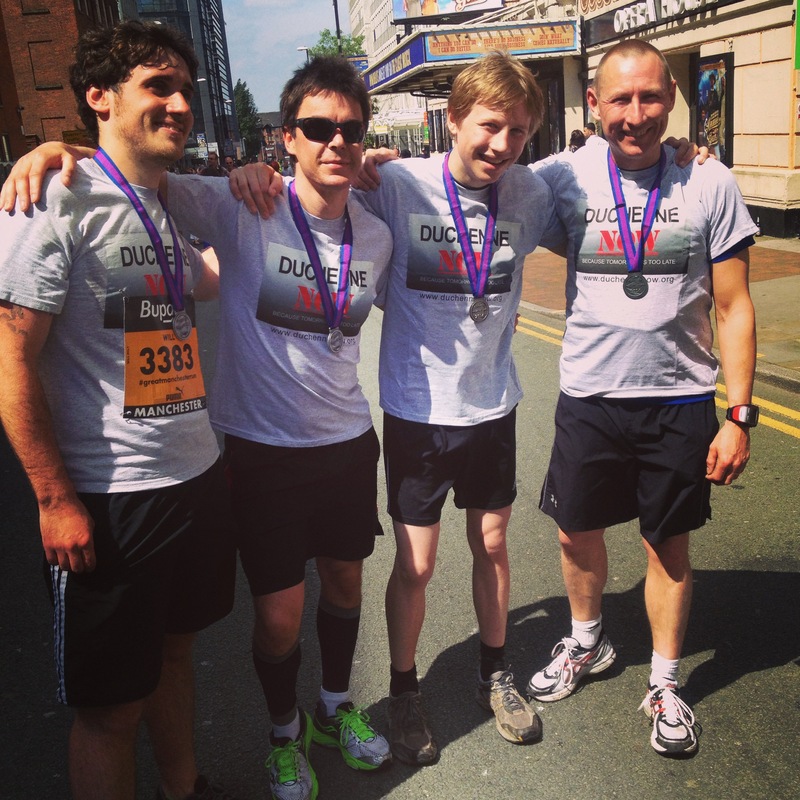 Because of this injury, the husband had pretty much resigned himself to hobbling around the Manchester 10k today. There was talk of him pulling out altogether but he bravely said he would soldier on – limping around the course if necessary. After much conflab at home, we finally set off for Manchester. The husband’s hands seem to be gripping the steering wheel tighter than normal. He appears pensive – and tense. This doesn’t sound like someone who is merely partaking in a glorified fun run, I think. Halfway into the car journey, the penny suddenly drops. ‘You’re not just planning on jogging round, are you?’ I say. ‘If my calf can hold out, I think I’m in with a chance,’ grimaced the husband. ‘That was five years ago,’ I said, ever the Voice of Doom. ‘And you were in the peak of physical fitness. You’ve barely run 10k this year and you’re limping like Keyser Soze. The husband nods, looking sheepish. ‘It’s never going to happen,’ I say. The husband meets up with the work mates at the starting line. They all seem very keen, talking of personal bests and training schedules. I leave him limbering up and stretching out his weakened calves. 40 minutes and two coffees later, I decide to amble down to the finishing line to check out what’s going on. It was 42 minutes into the race and the elite athletes were beginning to filter through. I was in no rush. In fact, I was busy picturing a scenario whereby I was one of the few spectators left, clapping in solitude, as the injured husband woefully limps at the rear – surrounded by people in wheelchairs and a man dressed as Big Bird. But just as I look up, the husband flies past! He looks in pain but is gritting his teeth in determination. He beat rival workmate by 10 seconds; the rest by significantly more. He came in the top 10 per cent of the runners. He might have done irreparable damage to his left calf. But the husband has never looked happier. And secretly, I’m a very proud wife. We’ll done husband, must have been the pro plus.